Professional, Priority and Pride are our motto. 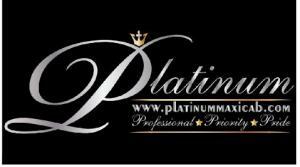 At Platinum Maxicab,service is guaranteed once booking confirmed. The most trusted transportation company on the island. We are in this industry for the past 10 years. We encourage our customers to submit booking in advance hence reducing unnecessary delays in their journeys. What’s even more is that Platinum Maxicab offer you all of this convenience and luxury at a competitive rate. This means that you can take the hassle out of any transportation you may need and simply sit back and let us handle all of the details. Limousine traveling is the definition of luxury ground transportation and the travelers enjoy the comfort, convenience and personalized service of chauffeured travel. The payments for the services can be done by credit card as well as cash.For Maxicab Booking Click here.